Cannabis is far more effective at treating symptoms of fibromyalgia than any of the three prescription drugs approved by the Food and Drug Administration to treat the disorder. That is one of the findings in an online survey of over 1,300 fibromyalgia patients conducted by the National Pain Foundation and National Pain Report in the USA. The FDA has approved only three drugs - Duloxetine, Pregabalin and Milnacipran - for the treatment of fibromyalgia. Most who have tried the medications say they don’t work. “It’s always a good idea to listen to what our patients are telling us,” said Dr Mark Ware, an associate professor in family medicine and anaesthesia at McGill University in Montreal, Canada, in a comment. “Fibromyalgia is devastating for those who must live in its grip. There is much we do not understand. We need innovative … solutions that change the face of this disease,” said Dr Dan Bennett, chairman of the National Pain Foundation. Many who responded to the survey said they had tried all three FDA approved drugs. 62% who have tried cannabis said it was very effective at treating their fibromyalgia symptoms. Asked to rate the effectiveness of the approved drugs Duloxetine was rated as very effective in 8%, Pregabalin in 10%, and Milnacipran also in 10%. 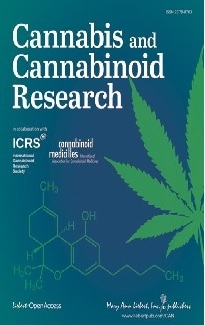 The researchers looked at reported cannabis use by adolescents in states where medical cannabis is now legal, both before and after the laws were passed. and compared those numbers with nearby states where cannabis remains illegal for all purposes. The sample was 11.7 million students. Across years and all states, past-month cannabis use was common (20.9%). There were no statistically significant differences in cannabis use before and after policy change for any state pairing. The United States Food and Drug Administration (FDA) has granted Fast Track designation to the cannabis spray Sativex for the treatment of pain in patients with advanced cancer, who experience inadequate analgesia during optimized chronic opioid therapy. Sativex is currently in Phase 3 clinical trials for this indication. FDA's Fast Track program facilitates the development of drugs intended to treat serious or life threatening conditions and that have the potential to address unmet medical needs. Prime Minister David Cameron is urged by Tory modernisers of his Conservative Party to abandon Britain’s war against drugs and make partial legalisation a key pledge in next year’s general election manifesto. The provocative plan is contained among a series of policy proposals put forward by the influential Conservative think-tank Bright Blue, a group which is backed by senior ministers including Theresa May, Francis Maude, and the former minister Andrew Mitchell. 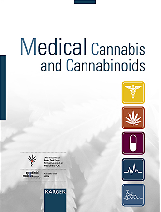 A review by the American Academy of Neurology concludes that cannabinoids may be effective in spasticity, pain and bladder dysfunction in multiple sclerosis and that there is only limited data available on Tourette syndrome, cervical dystonia, and epilepsy. The number of heart attacks and other cardiovascular problems blamed on cannabis was five events in 2006 and 11 events in 2010 out of about 1.2 million cannabis users. In France, serious cases of abuse and dependence in response to the use of psychoactive substances must be reported to the national system of the French Addictovigilance Network. In the years 2006 to 2010 1.8% of all cannabis-related reports (35 of 1979) were cardiovascular complications. Adolescent substance use has been associated with poorer neuropsychological functioning, but it is unclear if deficits predate or follow the onset of use. In a study with 175 substance-use-naïve healthy 12- to 14-year-olds it was demonstrated that compromised inhibitory functioning during early adolescence prior to the onset of substance use was related to more frequent and intense alcohol and cannabis use by late adolescence. Cognitive inhibition refers to the mind's ability to tune out stimuli that are irrelevant to the task/process at hand or to the mind's current state.